1936 Packard Other in St. Louis, MO for sale. 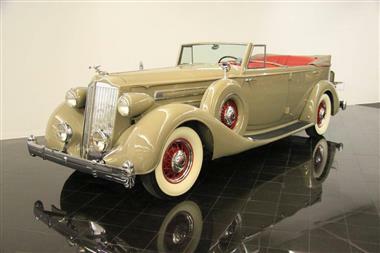 One of 682 Packard Twelves built in 1936! 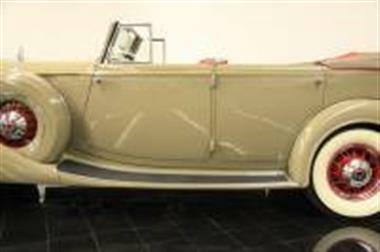 This Dietrich-bodied Convertible Sedan is one ofvery fewever produced! 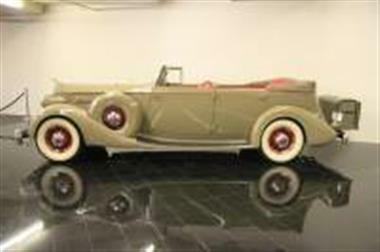 Packard Beige over brand new Red Leather upholstery! 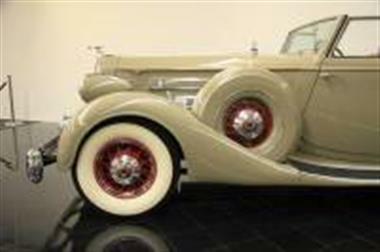 CCCA Full Classic!</p><p>The Packard Twelve was introduced in 1932 in response to Cadillacandrsquo;s V16 that had been capturing the upper one percentandrsquo;s attention for the past two years. Building upon the legacy of the fabled but discontinued Packard Twin-Six that put Cadillac in their place from 1916-1923, the new Twelve was launched with an all-new 67-degree 446ci V12 with four main bearings and integrally cast block and crank. Continuous yearly updates and an engine stroking in 1934 to 473ci kept the Twelve on top of its competition. All said and done, Packard sold 682 Twelves in 1936 compared to only 52 Cadillac Sixteens and 901 V12 cars. 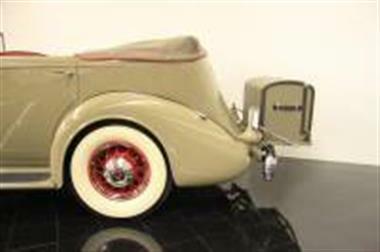 1936 would prove to be the final year for wire wheels and Cadillacandrsquo;s unique Packard Stabilizer chassis vibration dampers.</p><p>We are very excited to offer this 1936 Packard Twelve Model 1408 Convertible Sedan! This incredible automobile is fitted with its original running gear including 473ci V12 (dated November 23rd, 1935), 3-speed floor-shift manual transmission (dated December 6th, 1935) and 4.41:1 rear end. 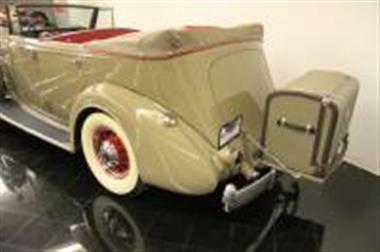 Notable features and accessories include dual side mount spares with covers and mirrors, Guide Super Ray fog lights, Packard Twelve luggage rack with Packard locking hinged trunk and three locking suitcases, exhaust turn-down, Packard rubber floor mats and more! The car rides on correct 48-spoke painted wire wheels with Packard Twelve hubcaps and trim rings with Lester 7.5andtimes;17 6ply rating 4 ply poly wide whitewall tires.</p><p>History of the car can be documented to the mid-70s, where it saw a cosmetic restoration by a gentleman and his wife, who enjoyed showing the car. Upon his passing, the car sat in his widowandrsquo;s garage and over time became somewhat of a storage unit, slowly disappearing under storage boxes. 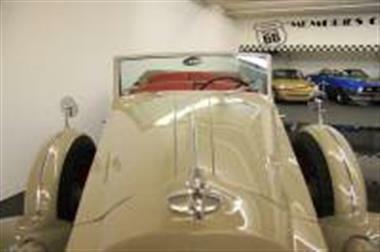 By the mid-90s, the car had been rediscovered and was offered for public auction in Auburn. The winning bidder took the car home to Philadelphia and stared at it for four years before selling it to Marc Ohm, renowned Packard expert and restorer right here in St. Louis. The car received a cosmetic refresh in andrsquo;97-98 and was ready in time for the Packard 100th Anniversary celebration in Warren, Ohio. 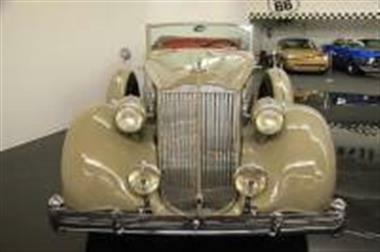 Shortly after, the car was purchased by our museum as part of the private collection where it remained for four years. It was purchased by the president of a local roofing company in January of 2004 and driven sparingly on warm and sunny days until he sold it back to the museum in 2010. Near the end of 2010, it was sold to the previous owner in Indiana, where it once again saw limited use on only the nicest days. With the decision to narrow his collection, we were fortunate to be the first to receive a call in December of 2014 with first rights to purchase.</p><p>Upon arriving in late December 2014, the car received a new canvas top in January of 2015, as well as new running board rubber. In February, the car received new seat upholstery front and rear in brand new red leather. This was done with multiple hides in the original tuck-and-roll style and appears as new. We made efforts to put enough mileage on the car to feel very confident in its mechanical abilities. It starts, stops, runs and drives arguably better than any other luxury car from the 30s and will make the next owner very happy at shows and on cruises. This car is a Full Classic and eligible for any CCCA, AACA, and VMCCA touring and judging events. With what is believed to be an accurate 78,686 miles, this Twelve has only begun its life and is ready for immediate enjoyment! We would invite any interested parties to call with additional questions! Thanks for viewing!